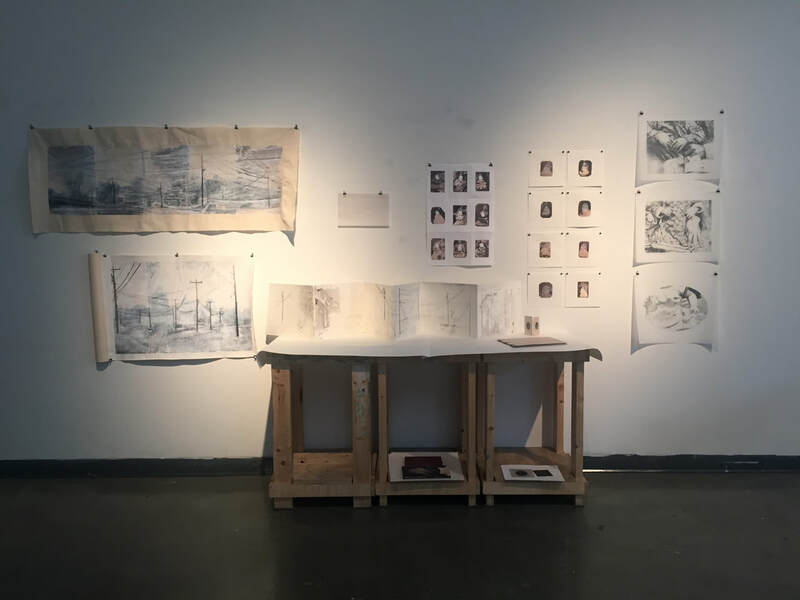 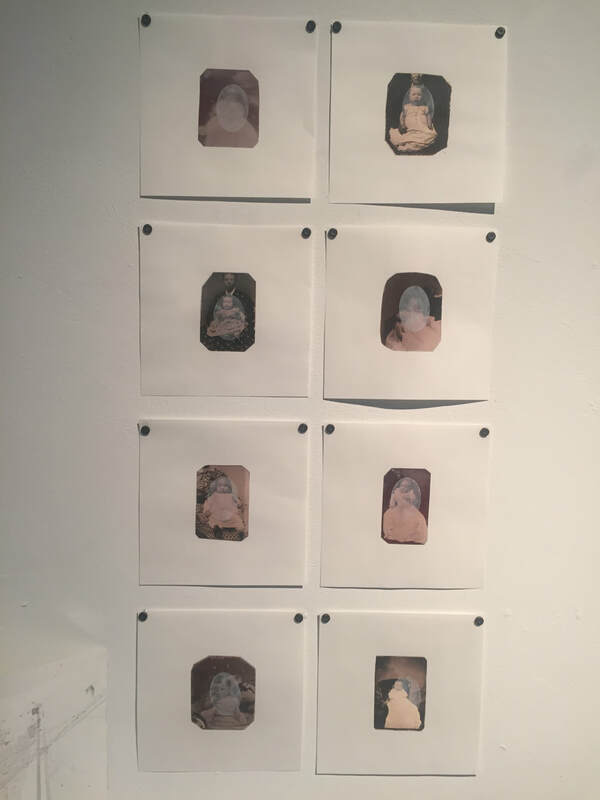 Recently, I put my work up for a graduate level critique... as I'm just starting my Masters program. 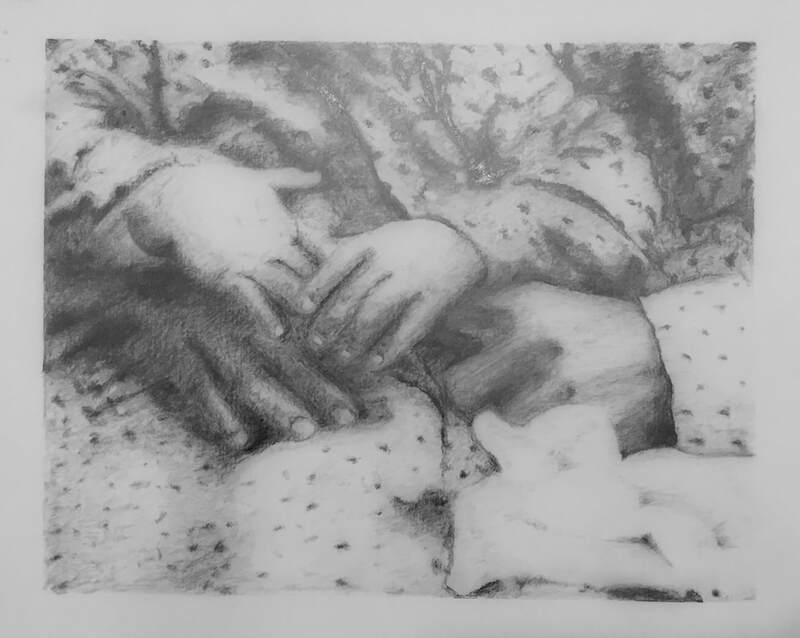 Here's what I displayed for the crit. 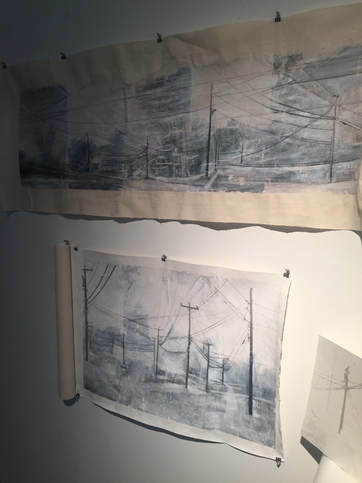 These are image transfers on canvas with white paint on top. 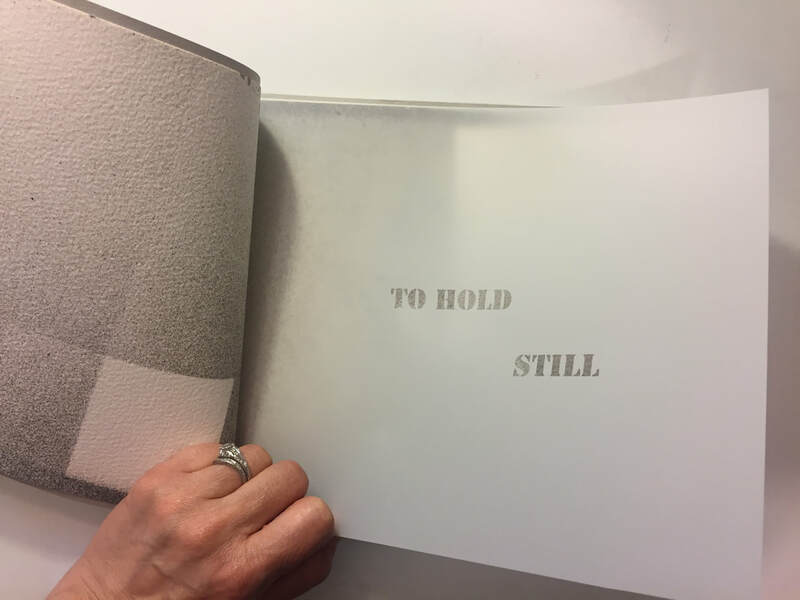 This is a hand-made book, which I have not yet bound. 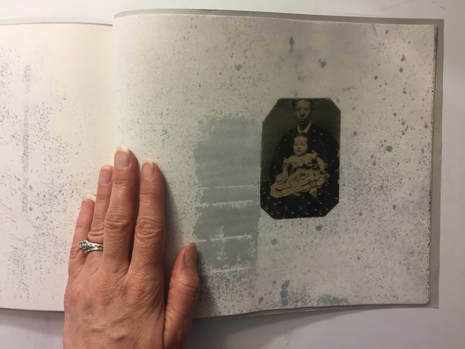 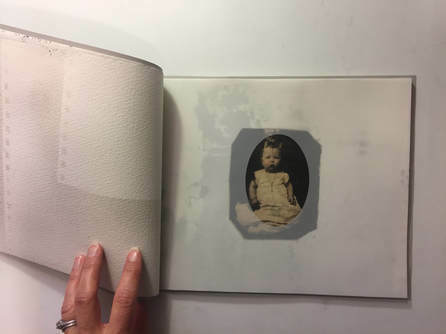 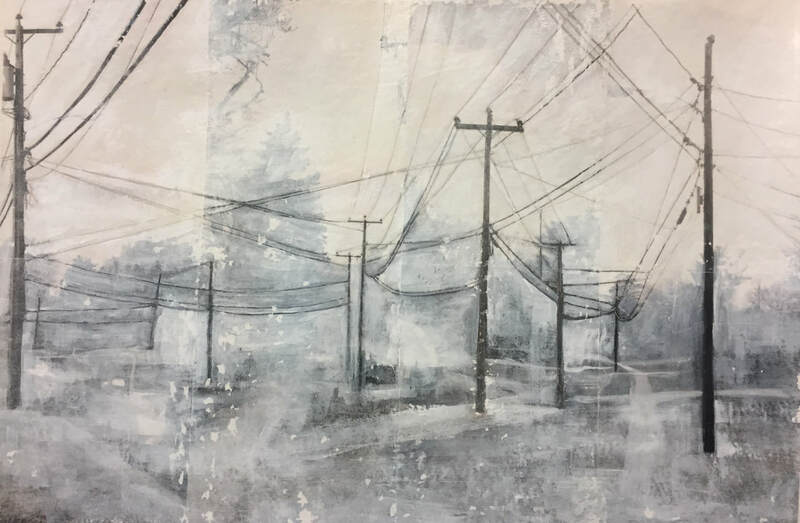 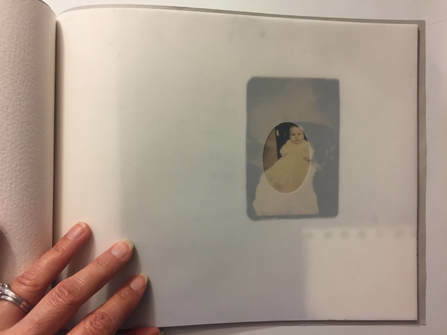 It has pages of rough watercolor paper with sprayed ink, combined with vellum, and utilizes little oval shaped windows that are cut through the vellum. 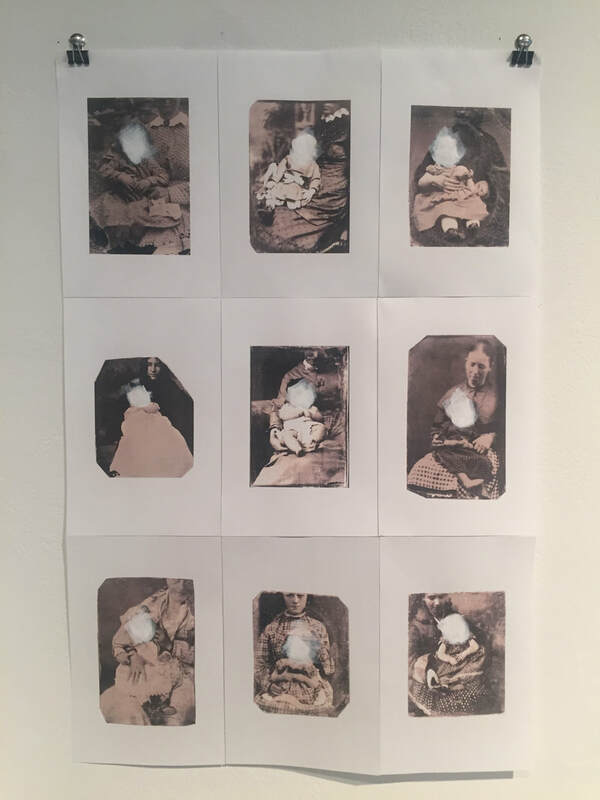 This is a series of hidden mother images... 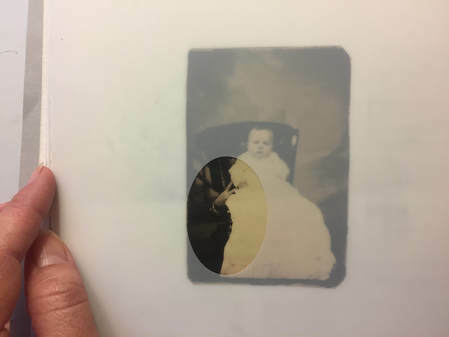 I owe these photographs in my personal collection. 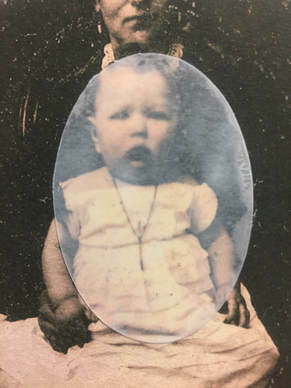 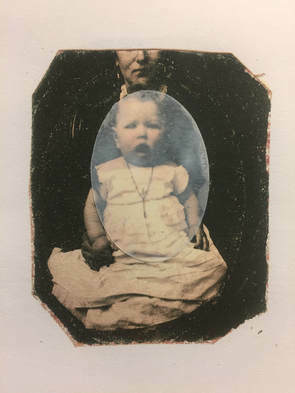 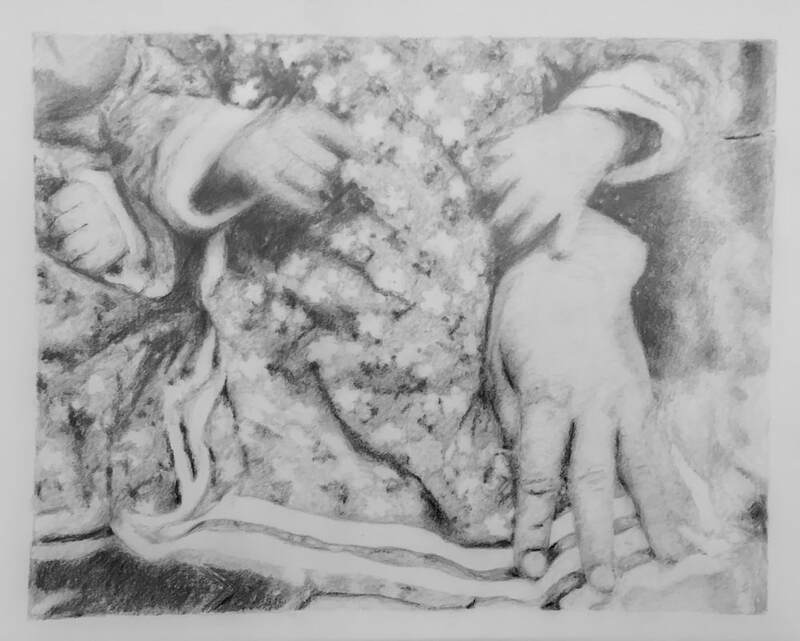 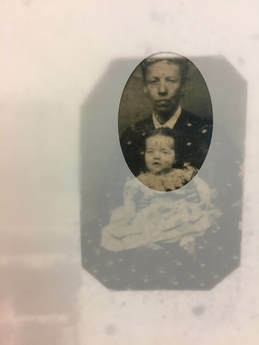 I scanned the original tintypes, printed them, and placed a die-cut, somewhat milky/unclear 'veil' of oval-shaped vellum over the child. 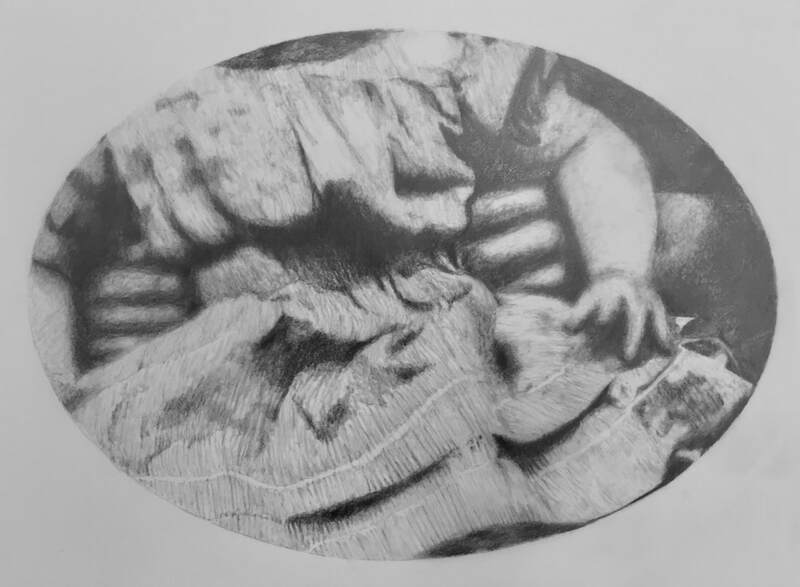 This was a quick "experiment" I did when first beginning to work with the 'hidden mother' imagery. 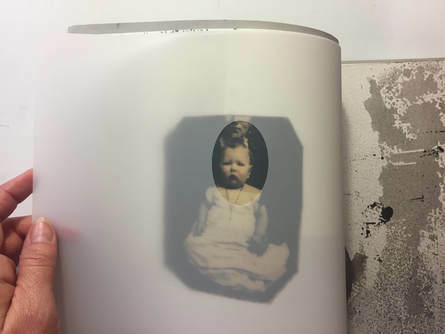 The images were ones I gathered/stole from online, printed them, and then 'veiled' the babies' faces with a smudge of white paint.